The glass and stone blend tiles both have glittering crystal glass mosaic chips and stone mosaics. Generally, the stone chips are made of natural stone, artificial stone, natural marble, granite, the color will not be always same which means the stone chips may have color variation, some even have wave marks on the finish. However, it is just showing the nature beauty. As for the glass chips, high-temperature make they stable and durable, the colors will never fade away. 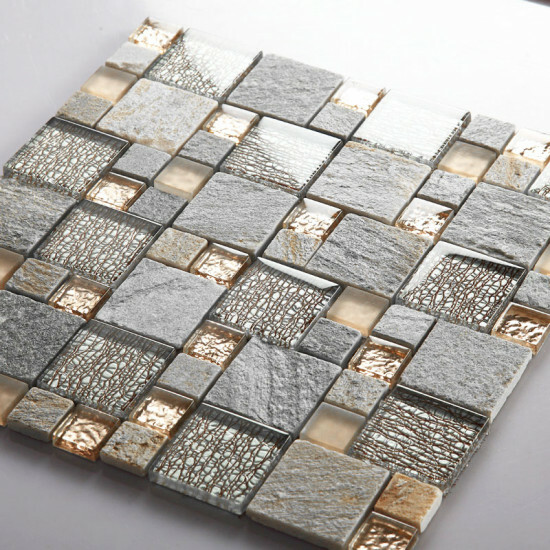 Each sheet of the mosaic tile is approximately 1 square feet (12 x 12 inches) and mesh mounted for easy installation. 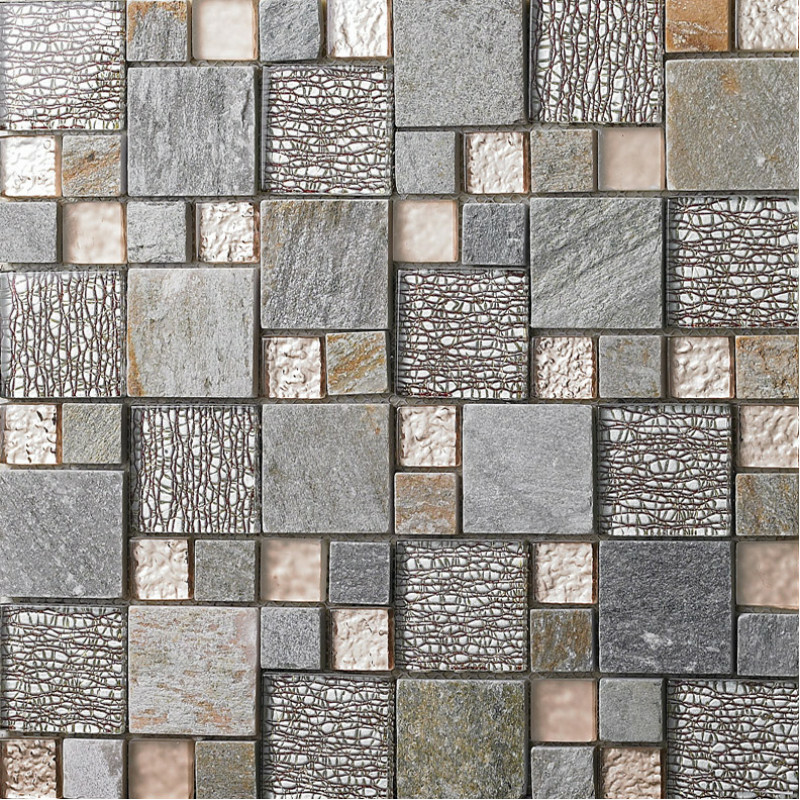 This gray and glass decorative tile is very beautiful for kitchen backsplash, accent walls, bath and shower walls.